Comebacks in sport are often ill-advised. Muhammad Ali came back when he should have stayed retired; even Mike Tyson came back when he should have stayed at home looking after the pigeons. On second thought, comebacks in sport are ALWAYS ill-advised, with some very rare exceptions. A great champion may be cut down in his prime, depriving the world of his best achievements — surely he should make a comeback, if he can? I was at the top of my game in the late 90s, but the architects of the neo-liberal conspiracy saw me as a threat and had me silenced. I was torn down and ploughed under. I was buried under tonnes of land-fill, comprising mulch, peat and old issues of New Idea. I was left for dead and largely forgotten. Now, decades later, I’ve managed to claw my way back to the surface. Sure, there may be the whiff of decay about me, maybe mulch as well. I may not be as pretty as I once was. But I tell you this: I will not be silenced again. Let the dim corridors of power know this truth: Jack is back! The recent expulsion of Frenchman Eric Cantona from English football has exposed a crisis in the contemporary world: the incompatibility of philosophy and sport. Cantona was well-known in Britain for his television appearances off the pitch: dressed in a black polo-neck skivvy, glass of red wine in hand, he extemporised on aesthetics, he held forth on ethics, pontificated on existentialism. “I am a philosopher,” he proudly told bewildered Brits, who were as ill-equipped to understand him as if he had zoomed in from Mars. 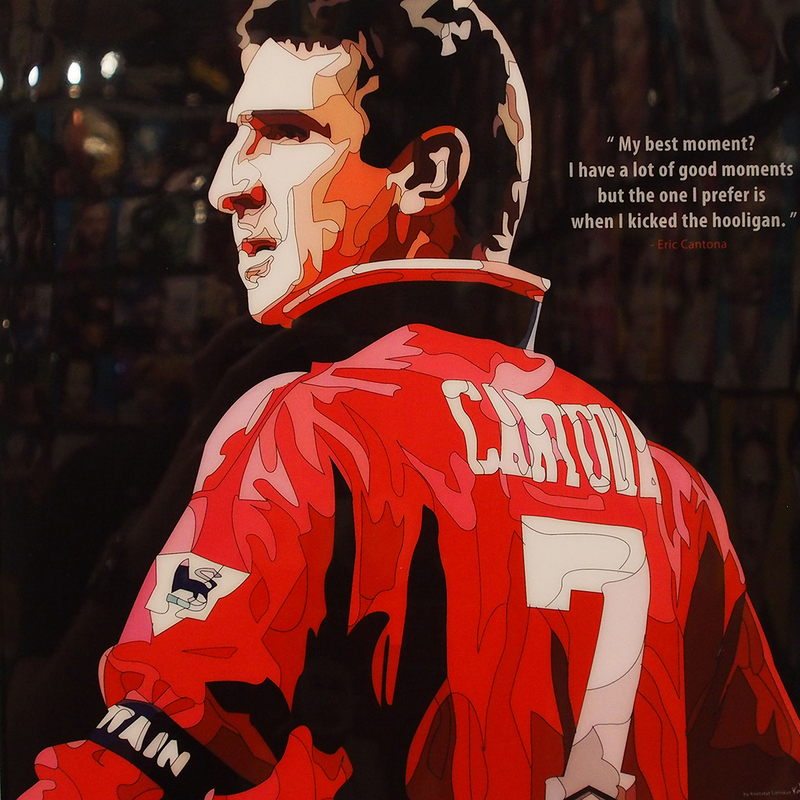 Contemptuous of the prosaic English game, with its plod and graft, Cantona was the complete continental footballer. Unfortunately, this poet of the pitch carried his mastery of 20th century thought into his midfield strategy. Annoyed by the persistence of an irritating off-side trap, he lashed out at his nearest opponent with a ferocity worthy of Bataille. Sent off one time too many by uncomprehending Anglo-Saxon referees, he responded to the barbaric goading of opposing fans the only way he knew: with a flying drop-kick to the head, followed by a series of robust jabs and uppercuts. This perfectly Artaudian performance was, need it be said, too profound for the English orthodoxy. The dour overseers of the game sent the brilliant Frenchman into exile. In hindsight, Cantona’s final performance can be seen as the last act of his own Theatre of Cruelty. His savage onslaught on the crowd exploded the dialectic of performance in front of horrified spectators around the world. In one last heroic gesture, he hurled himself boots-first into the Nietzschean vortex ­— and as he well knew, there could only be one outcome. Footballing Dionysus, Cantona paid the ultimate sacrifice: himself. Farewell, Eric. This world was never meant for one as intellectual as you. Of all the no-hopers and deadbeats in the history of sport, the biggest loser of them all must be … Garry Kasparov. Sports stars have cracked up under pressure before, but nobody has disappointed more people than this so-called champion. Not only did Kasparov let down all chess players, and all Russians, but he let down the entire human race, over its four million years of evolution. When he threw up his arms and ran off stage after a 19-move whipping from Deep Blue, Kasparov shamed us all. His tearful press conference only made it worse. If he was any kind of sportsman he would have retaliated, McEnroe-style, by smashing into that bloated box of circuitry with the nearest axe or sledgehammer. At least bad sportsmanship is something we can all respect. What are we to do now? 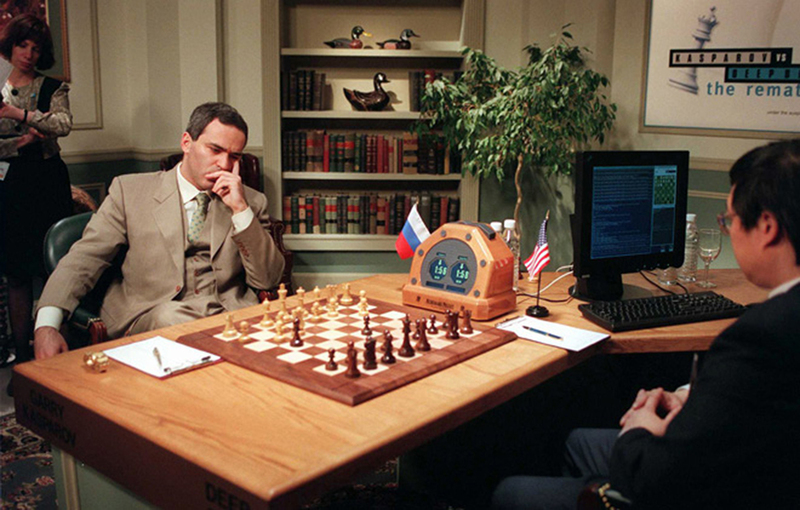 If we’re stuck with Kasparov for the re-match, we need to toughen him up. He should do what humans do best: cheat. He could soften up Deep Blue early by “accidentally” spilling his glass of water into its mainframe or while the minders aren’t looking, yank out a few circuits or sabotage its program. With Deep Blue reduced to the level of a dolt, even Kasparov could trounce it and give us back our self-respect. Only then will Garry Kasparov shake off his title as the greatest loser of all time. Jack asks what are the career options beyond rugby union for ear-biting boxer Mike Tyson during his 12-month suspension; and what are we to make of Australian cricket captain Mark “Tubby” Taylor’s peculiar sport-speak in which he schizoidly refers to himself in the third person.